Home Local news No Money For INEC To Prepare For 2019 Elections? No Money For INEC To Prepare For 2019 Elections? The polls are 291 days away, but there is no money for INEC’. It has a N300 billion budget which has not received attention. Some materials needed for the polls take six to seven months to procure. 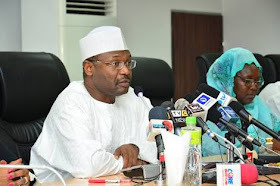 A source in INEC told The Nation: “We have submitted a budget of over N300billion for the 2019 poll but there has been no response or feedback from the Executive and the National Assembly. We have made a formal request for funds.